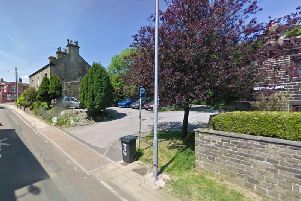 A mountain biker had to be rescued after injuring himself in a fall at Scammonden Reservoir on the hottest day of the year so far. Holme Valley Mountain Rescue Team were called on Tuesday at 3.45pm after the local biker lost control on a gravel track near to Scammonden Reservoir. The casualty suffered cuts and bruises and a suspected leg injury, and was located approximately quarter of a mile from the nearest road access. Team members were mobilised to the scene to meet ambulance paramedics who had provided treatment to the casualty. West Yorkshire Fire and Rescue Service also attended, cutting a lock from a gate to enable HVMRT’s Land rover to access the track down to the reservoir. Once through the gate, it was possible to drive the 4x4 along tracks to the site of the incident, and transport the casualty back to the waiting ambulance. The HVMRT was also called out to a group of youngsters on a DofE expedition after becoming stranded on Holme Moss. Owen Phillips, a spokesman for Holme Valley Mountain Rescue Team said; “This incident brings home how important it is to always pay attention to the weather and go out suitably equipped. “We frequently find ourselves saying this when the weather is cold and wet and visibility is poor, but it applies equally to extremes of hot weather.